asr gripped the secateurs firmly. “am i speaking to mr raizada… mr arnav singh raizada?” she had a poised voice, he could tell from the way she said his name, especially the “r,” that she wasn’t indian. she sounded… asian? yeah, asian. all this he had processed and thought in less than a fraction of a moment. a sudden chill had come into the air, and it wasn’t because it was winter in delhi. she had seemed to laugh just a little. he had frowned. asr tried not to think of what she said after that as he placed the edge of the clippers on the stem. but the thoughts wouldn’t go away. he shook his head and stopped the thought. apparently, there were many japanese women who liked mooga, it had been popularised among people with an eclectic taste by a small family run boutique. naho yamakawa wanted to introduce the material to her clientele… in a line that was essentially western but had touches of the orient… she wanted to meet him and talk about it. mooga… pure gold. unconsciously his fingers reached and caressed the thick shiny leaves of the camellia plant as if seeking to touch something… feel its texture, know it once more. he swallowed hard and went back to pruning. the first of january had not been an easy day for years. but it would get over soon. and anyway, there was work to be done. “naya saal mubarak ho, lakshmi ji!” khushi beamed down at the quadraped then gave her a hug. she had a feeling there would be a reward for that soon. a palm heaped with crunchy things came into her line of vision and a very happy goat leaned forward to grab a mouthful of crisp chane. “how am i looking today? nice na, lakshmi ji… kyun!” khushi said chirpily, she was very pleased with her deep red churidar kurta with gold gota and pure zaree pompoms. she wanted something dressy for the day. it was new year, not just another day, after all. “aap bahut hi mahurat lag rahin hain, khushi ji!” it was nk, who had just come into the sitting room still looking sleepy, his hair tousled. khushi turned to him and beamed. “mahurat nahin, nanhe ji…” she started to correct him. anjali looked at him, surprised. concern filled her gaze. “i’ll decide what i am supposed to or not!” asr said in a clipped brusque tone, picked up a bowl from the tray payal was carrying and left the room as everyone watched absolutely nonplussed. he sat at his desk staring at the screen of his laptop. the office was empty, it was silent all around. he sought its calm and tried not to feel the sensation in the pit of his stomach. mooga. he had to find out the particulars. how much was available. who produced it. was there any surplus, what would it cost… when was it made, were there any environmental issues… how did one ship it… assam… at the other end of the country, rich in natural wealth… petroleum, tea, silk… but a little cut off from the rest… upheavals at times… what was it like? he picked up the phone and chose a number, still staring at the screen. “hello? yes… salman? i was thinking… would you know anything about mooga silk? anyone in your family… around the tea estates? what? oh okay… yeah, maybe i’ll need to go over soon.. okay see you.. huh? what? yes yes.. happy new year!” he spoke to the young designer and went back to studying the material, beside him on the desk lay a thick tome on indian fabrics and textile and some copies of japanese fashion magazines. “sara din agar aap kaale badal ke tarah dikhe toh kya sab khush ho jaayenge?” asr started as he heard her voice. khushi stood before him, her hands on her waist, an arch look on her face. he frowned at her and snapped. “kaale badal… whaaat? khushi, what’re you saying, dammit! why are you here? !” his voice rose sharply, partly because he was taken aback, partly because he was angry. khushi came up to his desk, put her hands on it and leaned forward, her face grim. “don’t think i am scared of you! you’ll do whatever you please and everyone will keep quiet you think?” khushi said, her anger evident in her voice. her hazel eyes flashed, her bosom heaved, asr stared at her. “aap apne ko nuksaan pahunchayenge aur hum sab sirf chup chap dekhenge? aap kissi se kuch nahin kahenge, hum se bhi nahin… what had you said… no shouted! yes, shouted… ‘you’ll marry me… now!’ just because you believed you had to… not because you loved me even! that is allowed, mr arnav singh raizada, but hum is not allowed to know anything about you, do anything for you… bas dekhte rahein aap ki taqleef… aur… aur… ” khushi’s voice had risen and sounded quite stern till now, suddenly it was wobbly… she took a deep breath, steadied herself and continued, “you’ll eat anything… anything! even though it’s not good for you… k..k..kill yourself…” khushi had no idea but she was bawling by now. “no, mr raizada, i am not… i am not… dammit! you are!” khushi cried out and sobbed, her breath shaken, tears beginning to stream down her face. she could never explain to him the feeling that had gone through her as he’d picked up a bowl of kheer full of sugar and stalked out, refusing to talk to anyone. she had sat through breakfast quietly wondering what to do. later she had gone looking for him and was told by op, who was clearing up the garden by the poolside where arnav ji had been working since early morning even before she had woken up, that he had left for the office. she knew this day was not easy for him so she had tried not to crowd him, stayed away, hoping he’d feel a bit better. she was touched by what he had done for her the previous evening. “shhh! khushi, no…” his voice was low and yet it made her listen. she stopped stuttering and crying and looked at him. he was still sitting on the other side. his eyes were fixed on her face. they glittered like pebbles. she could read nothing in them. she stared mesmerised still… how could eyes have so much shine in them she wondered. his lips began to stretch… was he smiling? she saw a helpless look pass across his face… she wanted to run to him. but something held her rooted to the spot. something said, stay… don’t move. “who said i didn’t love you even?” his voice was hoarse and the words seemed to just leave him of their own volition. he leaned forward and reached out, his fingers, long and brown, touched her left cheek… a touch that had grown familiar, that she needed… stroking away the tears, they moved to her forehead and tucked a strand of errant hair behind her hair. he looked at her without blinking, a steady long gaze. she could see his eyes grow hungry slowly. she felt her own heart beat quicken, her lips crave something. khushi caught his fingers and gave him a weepy smile. his lips stretched… at an angle… this time it was a smile. his shoulders moved once… again.. then he snorted. 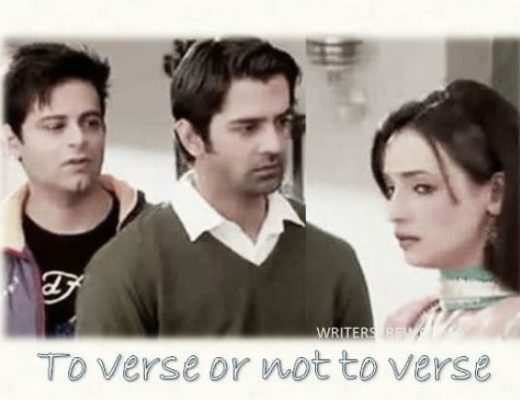 “i won’t die if i have one bowl of kheer, khushi…” he tried to say evenly but he was clearly laughing. khushi made to pull away in a huff but he had caught hold of her hands in a firm grip by then and was walking around the desk already. khushi sighed and threw her arms around him. she had felt so terribly left out the whole day and worried for him… why couldn’t she have fallen in love with an easier to understand man, she wondered, then she quickly shelved the idea and looked up at him adoringly. asr saw the smiling face, the bright grey green eyes, right now the grey was iridescent, golden… he felt something draining from within and an animated exhilaration begin to make its way in. this girl was crazy and she was beautiful… most importantly she was his. “arnav ji,” khushi whispered, her eyes now fixed on his lips, she could see them thinning slightly. she had been angry with him and for some reason that had felt good. she had looked stunning… though how one managed to do that in pompoms and gota continued to remain a mystery. his mind checked his thoughts… he was again perhaps trying to run away… maybe because of that damn wetness behind his lids. tears. stinging and warm. “aap yahan kaise aa gaye?” khushi shrieked as she saw the white pigeon. she peered at it, yes, the eyes were red. it was her old friend from lucknow, no doubt about it. and now he was sitting here in the garden at shantivan. khushi had wanted to throw the sarson ka saag at him. khushi had blushed violently remembering what had happened in the office earlier. he had waited till mohan ji had driven out of the parking lot, then gone back to work. “kahiye, kabootar ji, koi aise karta hai kya… woh bhi saal ke pehle din… aur office mein…” khushi muttered to the bird. “shut up, khushi! stop talking to the bird!” asr said from right behind. he must have come into the garden through the poolside door. hope you enjoyed the new chapter. and no, that was not a scary woman calling early morning. i have a feeling next chapter will be the last one. let’s see. do please leave your thoughts. i love to hear from you. thanks for reading and have a wonderful new year… gong xi fa cai. hi archana, thanks so much. glad you liked the exchange between the two of them. i don’t know much about textiles but i do love the fabrics we weave and since he is a fashion guy, thought it might be apt to bring it in here. the richness of our land and all our stories, always astonishing and engaging. see you soon. I loved it when our Sanka devi in anger, scolding her Magarmach….our ASR enjoyed it a lot whenever his wife is angry…her hazel eyes and that red nose…But her tears affects him the most…such a loving hubby…brooding but naughty in his own style..
yes, leksh pvr, mooga is from assam. i hope your grandma liked the piece your dad gave her. it’s a lovely material and very versatile. 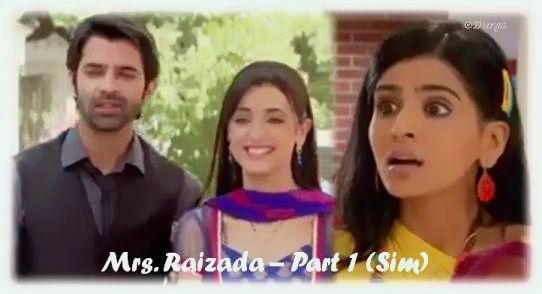 thank you for liking asr and sanka devi’s different moods and exchanges. “brooding but naughty” he is… 🙂 glad you’re enjoying the story. How are you? Hope doing fine. Undoubtedlt, you are one of the most talented authors known to me. thank you so much, anna. i feel thrilled whenever i read ncofl is become a favourite. grateful you enjoy my writing. really appreciate what you say. Hi Indraji!! I’m so happy to see you back with ncofl with new year, hoping to read more of your stories of laad governor and sankadevi this pair is very unique, and we all love them!! Thanks for entertaining us. thanks so much. hmmm i wonder what khushi would say about mooga. nice thought. see you soon. 🙂 the weather of new york. yes, most unpredictable and disconcerting, ananya_arshi. glad you enjoyed. thank you. Thoroughly enjoyed your piece. Particularly enjoyed your interests in fabrics. Had to look up mooga silk. At the moment I prefer cotton, due to the origin of silk. My sister in law was an expert in these matters, wish she was around. hi nirmala, so good to see you here. you liked? thank you. i know why you prefer cotton. i struggle with the mass homicide too. and yet, i can’t turn away… not yet. i love fabrics, am no expert… would have loved to know more from your sister in law. i write about sarees these days, just like that… they say so much to me, woven into their world is our life love living… and so much about history, industry, politics, art, exploitation… everything. thank you so so much… assam… romance… me thinking and flying. 🙂 see you soon. I was wondering if he was thinking more about his mother now that he has found his love? Does he feel guilty about being happy? Is he afraid that he will forget the pain? Everything reminds him of his mother… the pain of losing her. Is that deliberate on his part. Then I realized that this is actually her birthday… and the pain thus has to be the worst. As you can see I think a lot about your Arnav. There is just something in the way you have created him. The intense vulnerability and the rough exterior to mask that vulnerability. I have had several Arnav’s that I have loved over my one year of FF reading career, but your Arnav is my favorite. Sigh! Kuch baat hai uss main. And your Khushi is not much far behind… She wears her heart on her sleeve like a medal… for the world to see… for him to see. And he is left with no choice but to give in. And in that surrender, the pain leaves him. So fantastically written Indi. Your A&K are so close to the original characters… the characters that I fell in love with… and more. He is bound to have these moments where he is thinking of no one but himself… and then he will make up in his own way. Loved the chapter. Now to the foreign sounding female…. I looked into my heart to see if I could find any regrets that she is not going to be a bad guy(gal) out to cause trouble… And I found none. I am happy that my favorite pair is going to have some respite from the villainy of the world. They need some time ( in my expert opinion ) to focus on each other and so that Khushi can drive him crazy(ier)… he can do with more of her craziness and pompoms. I love the fact how he is unable to explain his fascination with her gaudy pompoms… Him being the ultimate voice of fashion… Ishq nachai jissko yaar… woh phir naache beech bazaaar! Hai na? 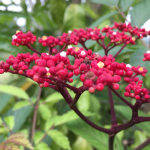 The intense focus on pruning his plants at the beginning of the chapter… to keep his thoughts at bay… was so masterfully written. Every cut has to be made just so… if he can do that right… everything else will fall into place. Indi I am just in love with your writing. It packs a really powerful punch. God this criticism has to be annoying. I apologize. Oh before I forget… welcome back Kabootar ji… Aap bilkul sahih waqt pe aaye! so i read your words and kept thinking, uff surely she didn’t enjoy it so much, and did the kabootar fly in and knock me on the head with a sharp wing and say, don’t get a fat head you. i never knew of this sort of writing when i came to the forum. of course, i never thought i’d get into it. and uff there’s such crazy fun in this nachna, in this bazaar, almost ecstasy it doth reach. of course, it makes you forget age weight socially acceptable behaviour and other such sundry stuff. you liked the pruning sequence? i adore that thing he has with a small huddle of plants. so personal that whole thing. and the actor brought such intensity to those scenes. i’d often think he connected to his mother there, to the tender nurturing part in him, to the maternal instinct within him. he is really a maker, a creator, an essential mother element there. yeah, main pagal hoon. it would have been easy to turn the foreign voice into the next conflict. but the story came differently at me. and i think of this as a very short new year tale, not really a long story… but let’s see. i love writing asr khushi stories, yet i always tell myself, these are not really abs mine because the characters are borrowed, and also i add in little things from the original material like echoes, they fill out the experience. some day, a story with characters i create, characters that talk to me and make themselves… if i ever get there, all this nachna and readers like you would have played a huge part in it. thanks again. Na aanh!… You can’t imagine that was meant as a criticism or even a suggestion, Indi. I was just showing in my own convoluted way, how much you have made me care for your ASR. Don’t you dare change anything in your style… I appreciate the fine balance you create and I don’t want it messed up, even by me… especially by me. Ok… that was enough of the mutual admiration society. Now addressing your first line…I actually do enjoy this story that much. I love how you have taken what I consider the most significant aspects of all the character’s personalities and moulded them in your own way. I often question that if Arnav and Khushi are not recognizable as themselves in a story ( other than being given the names ), then how is it an A&K story… But I guess I don’t understand the fine points of FF. Having said that I have read some marvelous renditions of alternate universes. And as for the universal appeal of these two characters… Do we have to consider ‘age weight socially acceptable behavior…Unquote’ when we are in love. Then it wouldn’t be love, would it? I agree with your interpretation of his love for gardening. It was so at odds with the brusqueness and heartlessness that he displayed elsewhere. It is only as his love for his family is slowly revealed that the picture adds up. I hope you will periodically put your pen to create A&K stories. I mean I have nothing against rereading stories over and over… I do it all the time (I am about to start your other FF… the one that scared the bejeezus out of me the first time I read it. You know na why? Nightmare… this beautiful friendship might have broken before having formed) … but it’s fun… hai na? So jab mann kare..
And I look forward to that day when you create your own characters. I would love to read them. Don’t put that moment off for too long, my friend. So apparently I had not quit the admiration society yet! So the lady with accent is not a threat. My thought actually went to some weird direction whether she is ASR’s ex or not, or will she create any drift or misunderstanding between them! Anyway, I’m relieved. So she is just a client who is interested to do some business with mooga silk. I must praise you for having so much knowledge on fabric and materials. aapka irada kya hai? Are you planning to join ASR? I loved the way Khushi chided him. she has right on him and I always enjoy her possessiveness for ASR. And Khushi is the only person on earth who has the guts to berate him. The cutest part was Khushi’s conversation with the kabootar. Khush’s monologue with mute animals and stuffs always is interesting. In IPK I used to enjoy her monologue with DM and Laxmi a lot. It’s a sign of good heart and innocence. ASR fell in love with her not only for her beauty but for her pristine heart and innocence. And you portray their characters so well in your tales. hmmm, yes, i think subconsciously i am setting up a scenario that will lead to asr employing me.. 🙂 🙂 thanks so much, sohara… i had a feeling you’d like our fiery angry khushi. i think he absolutely falls for her madly when she yells at him. you are so right about her, about the sign of good heart and innocence, maybe that is why she is so valuable, no invaluable. in a world where everybody is becoming tainted, self seeking, khushi remains unfazed in her beautiful innocence and giving nature. adorable ladki she is. see ya soon. thank you, nisso, great to see you. I was quite sure that Arnav will ask Khushi about Mogha silk and she would surely know all about it. Wish he had done so. The shenannigans between these two are a constant source of entertainment. 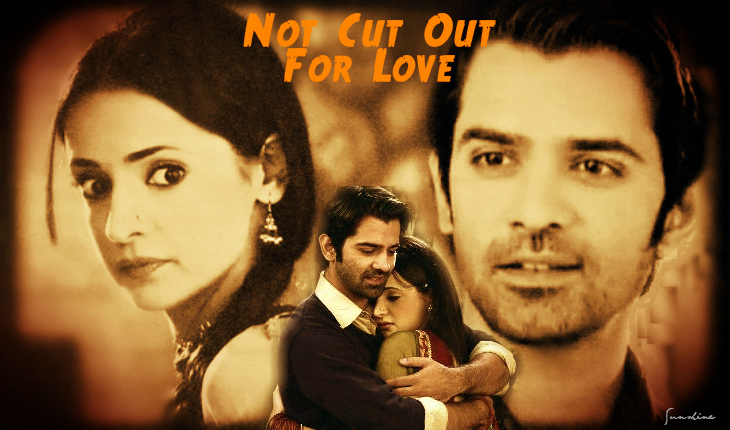 Waiting for the next chapter in the lives of Arnav and Khushi. 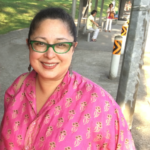 hi charu, i wonder what she’d have said if he had asked her… maybe he will some day. thank you, glad you are enjoying the story… next one up soon. see you. I can’t truly fathom the conflict of emotions Arnav must be feeling early in the morning. He must have wanted to celebrate the New Year’s first day joyously but his emotions that are imprisoned by the shackles of the past mustn’t be letting him do that. He must have wanted to pull at Khushi’s georgette dupatta and play with it but the feeling of silk saree wouldn’t let him do that. But I appreciate his efforts of trying to keep a calm demeanour. He is truly doing a great job of controlling his wayward thoughts. Khushi’s surprise visit at the AR office was pleasant and refreshing. Her gussa was not at all formidable, for one could her the care and concern behind her angry tirade. She was simply worried for her Firangipani Chudail. Oh the KabootarJi has come all the way from Lucknow and is being treated really well. Romance ki details mil rahi hain bhaisahab ko! I wonder if the red eyed Kabootar was a return gift for the nickname Shadyantri Sher. And Assam it is! I cannot wait for it! Arre almost last chapter matlab. You just got started with this now aur abhi toh dil bhara bhi nahi!! abhi na jaao chhorke… ha, you remind me of beauty. hi shruti, beautifully put that thought about wanting to play with her georgette dupatta but the touch of a saree pallu drawing him into another world. frangipani chudail, this ladki is really pagal. see you soon. Khushi was being Sanka Devi.. Overall awesome update! That is one silky update indeed.. with moonga silk.. such fine fabric it is truly.. that twist of he reaching out for sugar wala kheer is greatand the seam less convo with the plants is touching too..irate Khushi in his cabin is a treat.. hope the hills of assam harbor a solace for him/them..
I’m sorry di for my direct jumping here for the comment..
My slow connection made me irritating as it didn’t posted my three comments for the previous chaps..Okay..I have to agree that I didn’t save the comments even after the three non-posting attempts except this one..hehe..
And you correctly said di..I never thought one day I will watch a soap and more than that will read, enjoy, trying to know fictional characters to this extend..But I’m glad it happened..Along with the show it introduced this world of ff and I certainly learnt some new things, ideas, how to analyse from it..Me and Kabootar are ready for the travel..
gprs, 🙂 please don’t worry about not commenting at all. just stay pagal and in love with strange things that come on tv and leave us in kabootar land.